What is a Motor Vehicle Third Party (Towing) Bond in Arizona? A Motor Vehicle Third Party (Towing) Bond is a type of license bond. The purpose of the bond is to protect the state or governmental entity for certain things, such as the payment of taxes. How Much does a Motor Vehicle Third Party (Towing) Bond Cost in Arizona? How do I get a Motor Vehicle Third Party (Towing) Bond? We make it easy to get a Motor Vehicle Third Party (Towing) Bond in Arizona. Fill out the form above and we’ll get right on this for you. Then we’ll get the Motor Vehicle Third Party (Towing) Bond right out to you. Easy. Before you begin a company or any operation that entails making profit, you will need the government’s approval. The government has to approve that your business is legal and that it follows all the appropriate rules and regulations. You are then protecting your consumers by simply following the government’s rules and regulations. The license to function is a proof that the products and services you offer is legal and trustworthy. Before you decide to get a license, even so, you’ll need a license and permit bond, which clarifies the laws and consequences. Understand that the government’s rules and regulations are business and strict, consequently it is important to adhere them to prevent any quandaries due to failure to comply. To help you understand further the necessity for surety bonds, here is a simple guidebook for you. We also include tips about how to get a permit bond. A license and permit surety bond may differ with respect to the kind of business that you run. The kind of bonds differ according to purpose and how it could protect the clients. What is the purpose of license and permit bond? The key function of permit bonds is to ensure the consumers and the government any projects entered into may be delivered accordingly. In case the contractor default, for example, he or she will unquestionably face legal action due to non-compliance in governmental rules and regulations and the mutual agreement into with the customers. As a result, you need to consider not violating any laws for this may result in considerable loss for your company since you have to satisfy the financial damages done by your actions. You will need to not bend the law. Performance bonds are another common kind of surety bonds. Its main purpose is to help the clientele have an insured project. Clientele will hire your services expecting that you will supply quality. Meeting all specifications asked for by the customer is portion of the quality services. The advantage of having a performance bond is that the client could be able to recover specific amount of the entire project cost due to the contractor’s non-compliance. It argues that with your knowledge, skill, and experience, you have to have the capacity to do what the consumer requires. Failure to do that might prove otherwise. Fortunately, the client will not incur substantial loss. This section details the essential advantages that you’ll enjoy when you employ a professional who holds a license and permit bonds. Based on the requirements of the government, there are specific rules and methods that must be followed in doing a systematic work. Let us take for instance a construction project, the systematic flow of processes are outlined in the license bonds. The contractor who is engaged to this operation must then follow this system. Permit bonds are a surety that guarantees clientele to get the results they need. Should the project fails, the customer will get considerable amount of compensation because of the quandary brought on by the professional’s failure to deliver. It’s done by submitting a case against the professional who failed to supply, thereby giving the consumer a chance to recover certain amount of money as mentioned in the bond. It is not challenging to apply for a license and permit bond as long as you follow the right procedures. Listed below are the easy measures involved in the application for license and permit bond. Filling out the application form is the first step that you have to do. Using the online platform of an approved forum is perhaps the fastest method to obtain this online application form. This implies that you need to not only choose a platform that has the application form, but also be sure that it has verification. Be honest when filling out the form for it may result in serious predicament if you do not. The quote may help you understand any payments that you’ve got to make and the amount. Remember, the quote is dependent upon the amount of the project you indicated in the application form. So ensure that your figures are correct. Take note. It is only after the application form has been successfully submitted that you are going to be able to get a quote. After getting a quote, the next step can be the actual payment. Your payment permits you to get the license and permit bond. Don’t attempt to fabricate the information you’ll provide to the bond. The honest info you provide will keep you out of trouble. 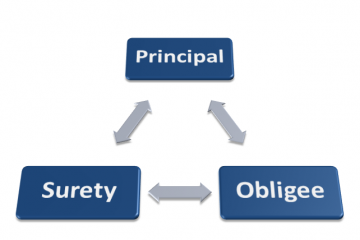 Keep in mind that surety bond is governed by laws and regulations. So even if you don’t have a good credit score, it is still essential that you provide the correct data to your surety bond. The rates of bonds may vary with regards to the type of bond that you should get. But, it doesn’t cover the whole project cost, only a relative percentage. Instead, you’ll pay 1% of the whole bond’s worth. In case of non-compliance to provide what they need, the bond enables your client to file a case against you. This is why you have to pay for a surety bond in behalf of your customers to protect their right in acquiring a satisfactory service or project result. You should follow all the regulations presented by a government. Use the appropriate means to obtain what you will need for your company to thrive and receive a license or permit. See our Arizona Notary Public Bond page here.